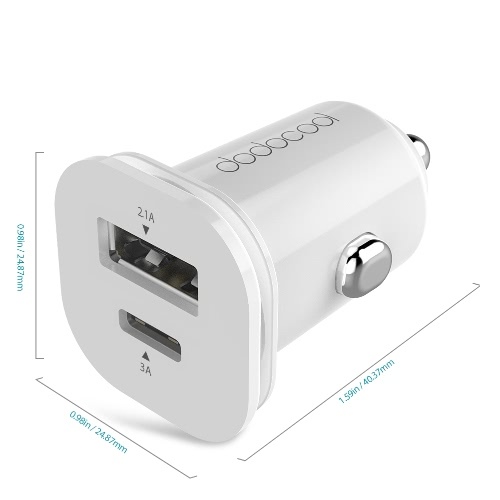 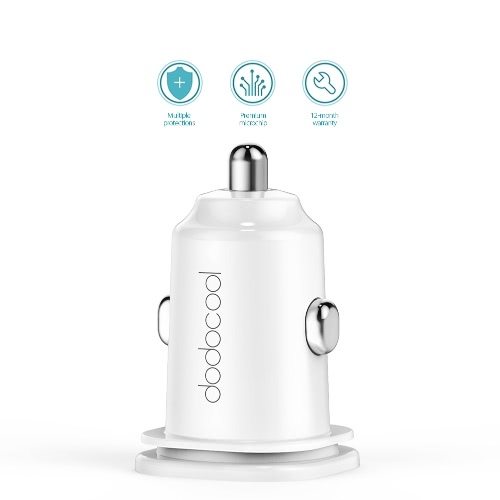 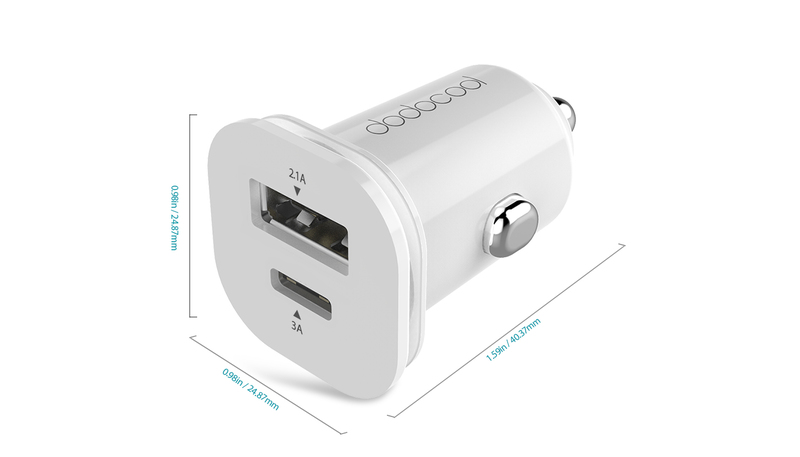 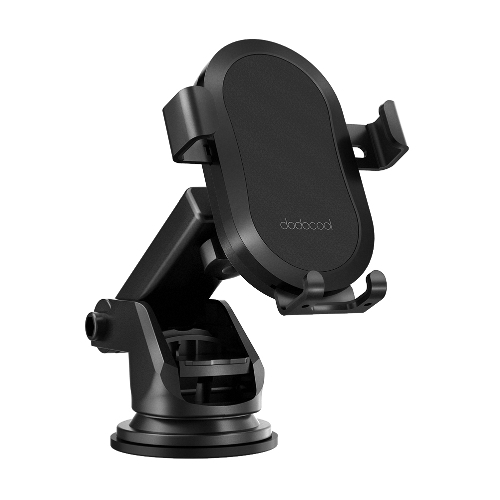 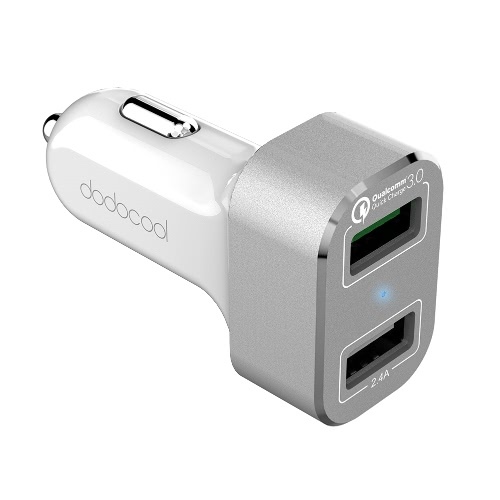 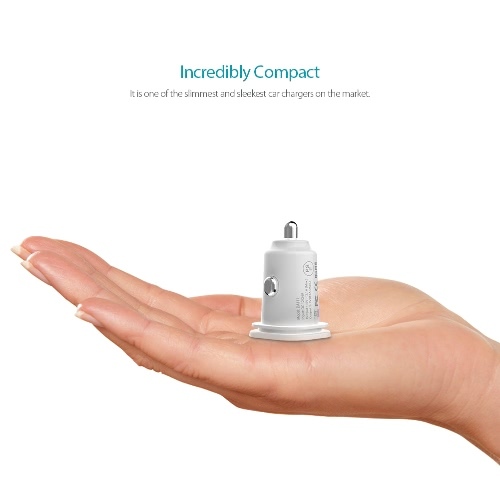 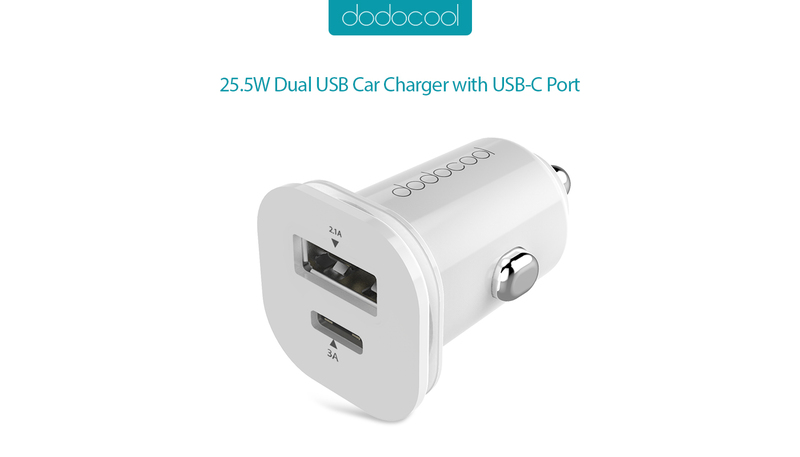 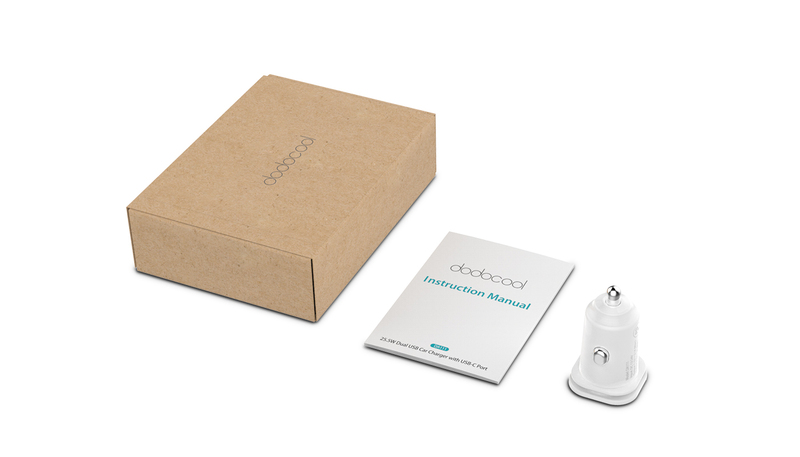 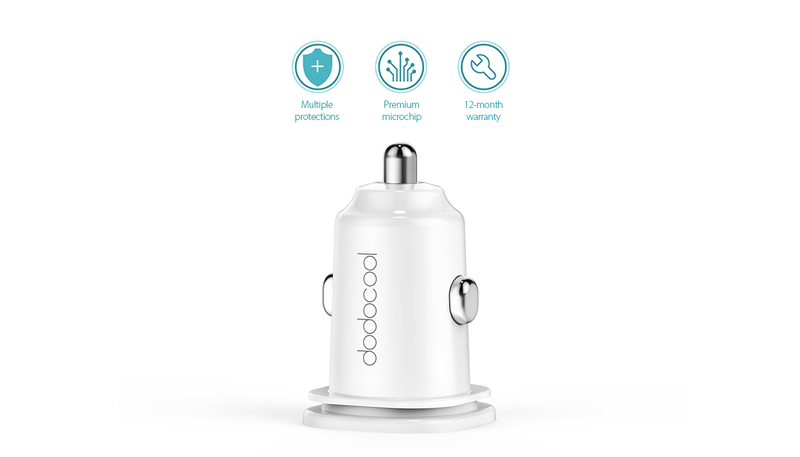 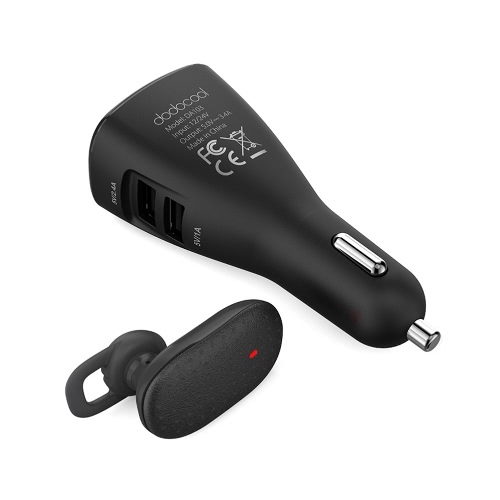 dodocool Mini Dual USB Car Charger delivers the optimal charging current to two of your devices simultaneously. Reversible USB-C design enables you to plug in right every time. 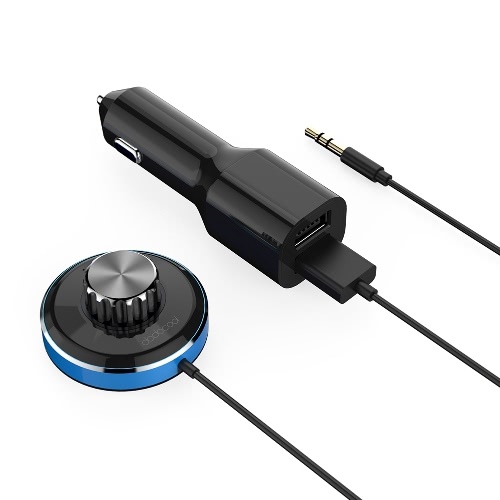 It gives your devices unlimited playback and standby time while in the car. 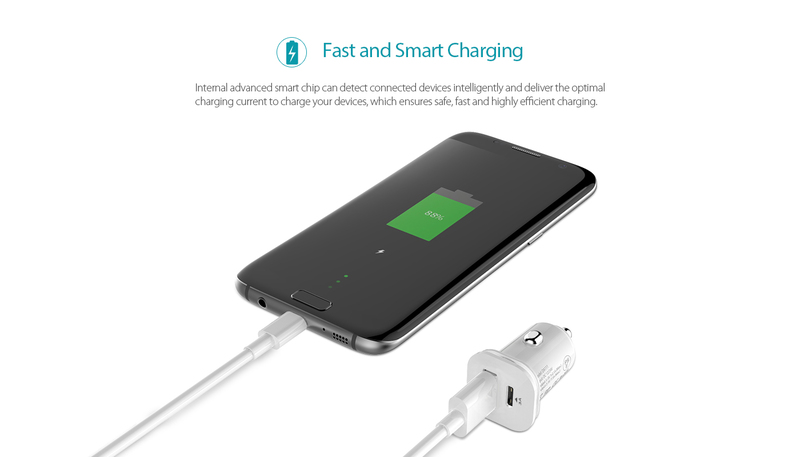 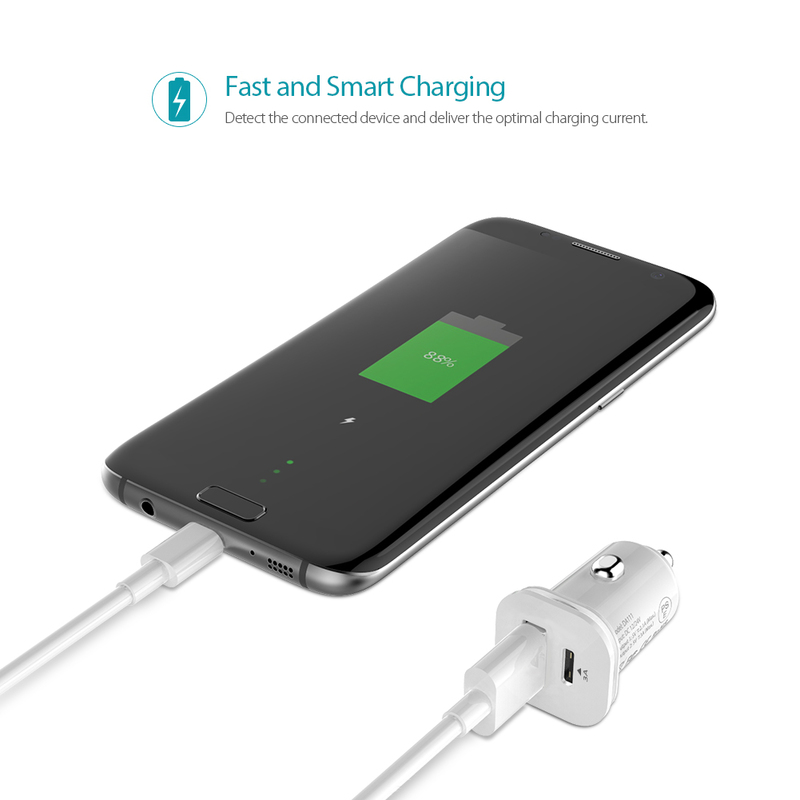 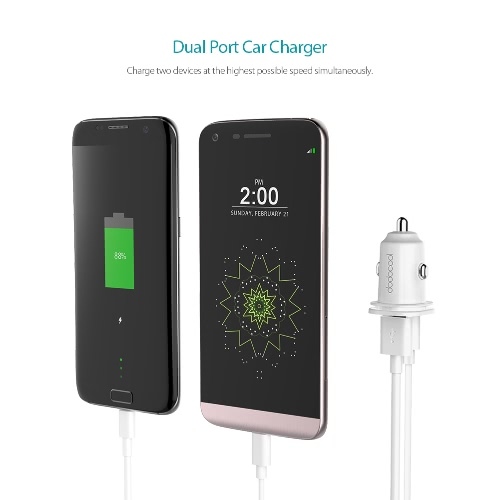 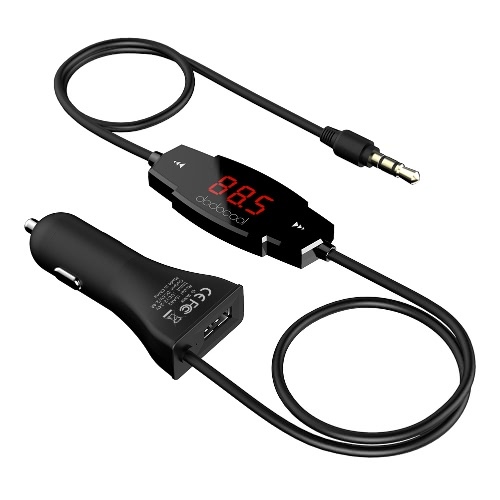 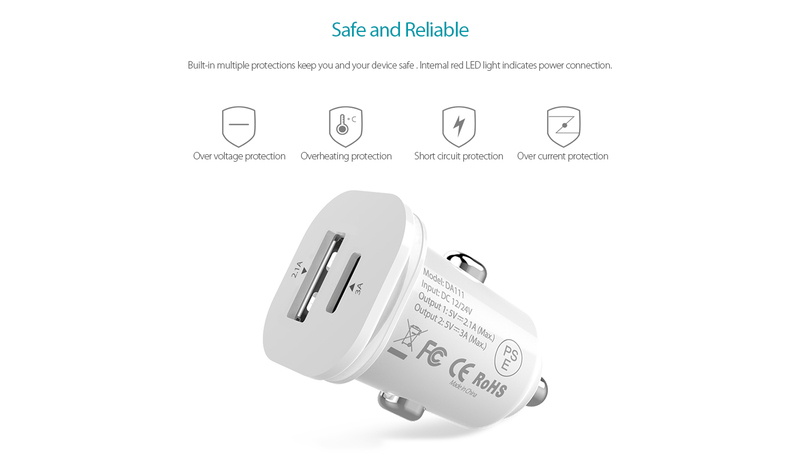 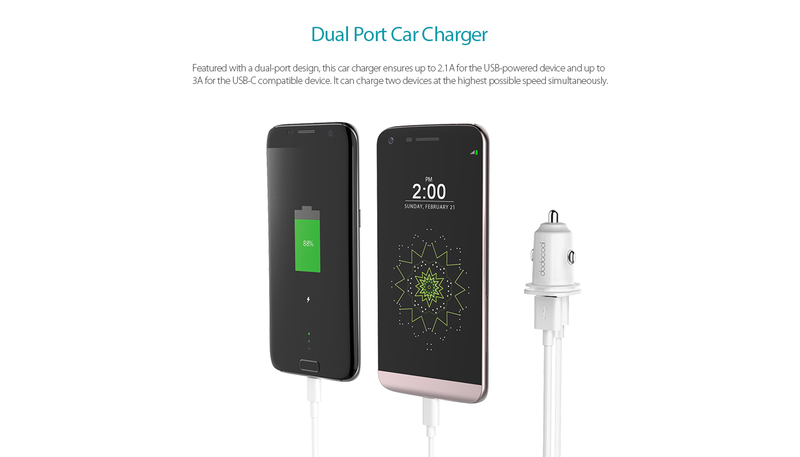 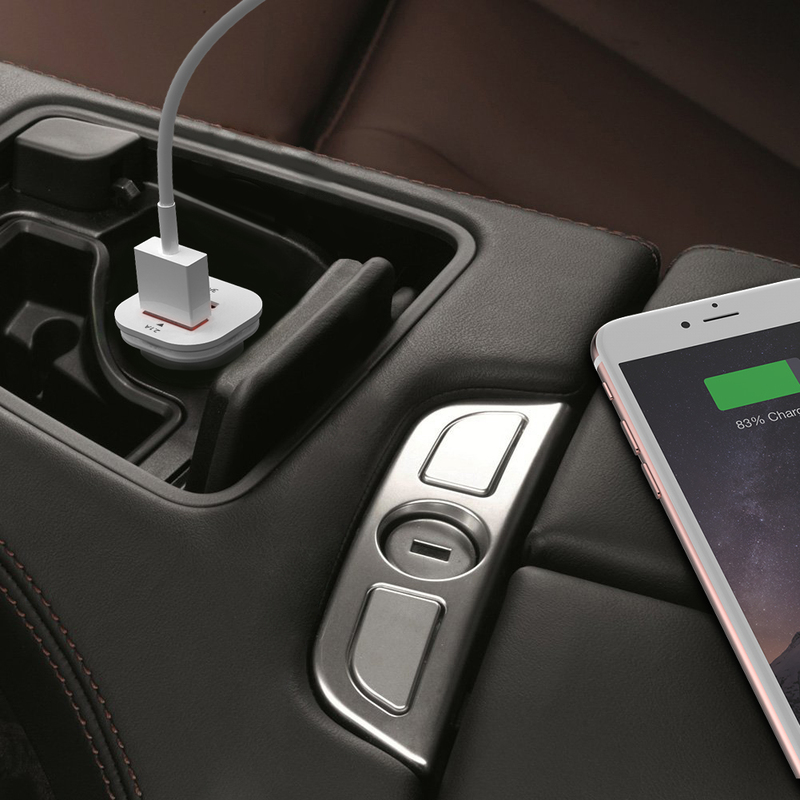 Featured with a dual-port design, this car charger ensures up to 2.1A for the USB-powered device and up to 3A for the USB-C compatible device. 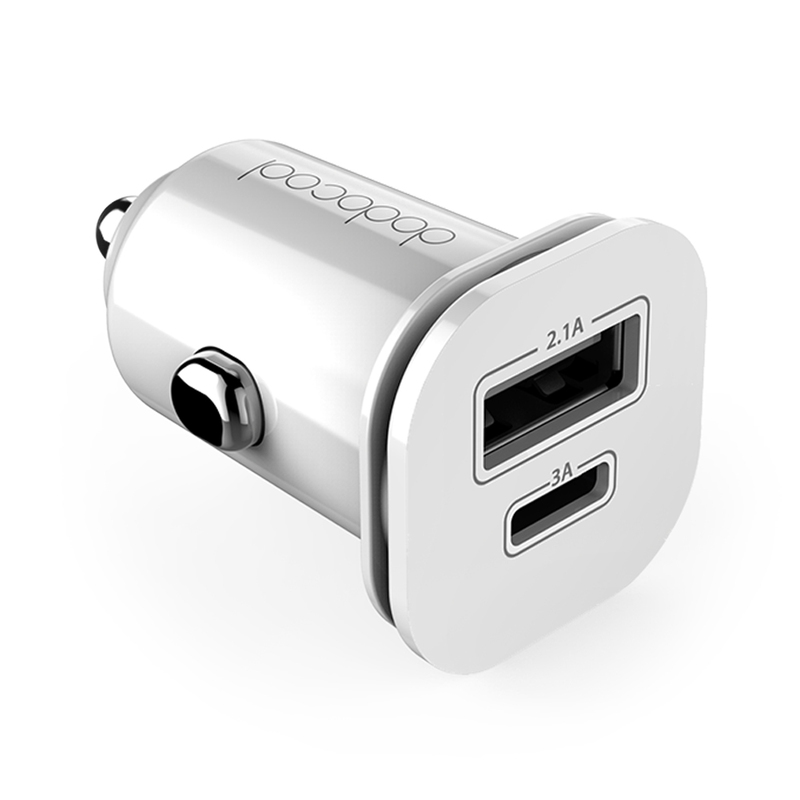 It can charge two devices at the highest possible speed simultaneously. 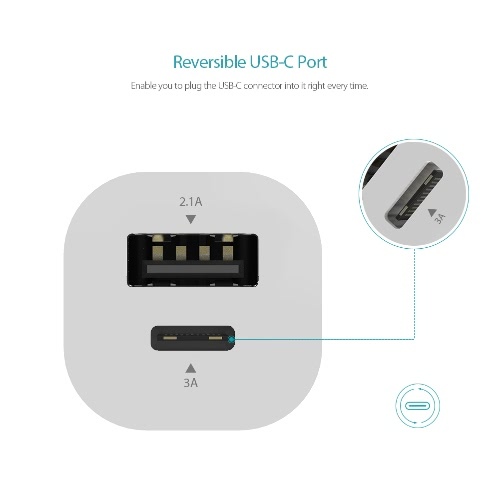 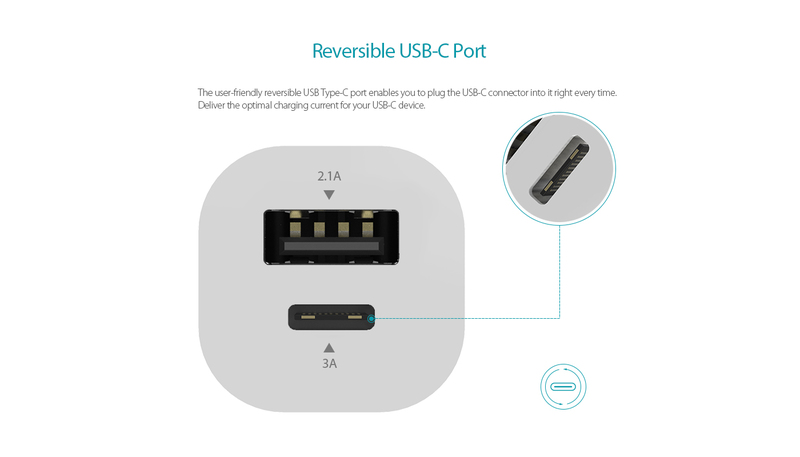 The user-friendly reversible USB Type-C port enables you to plug the USB-C connector into it right every time. 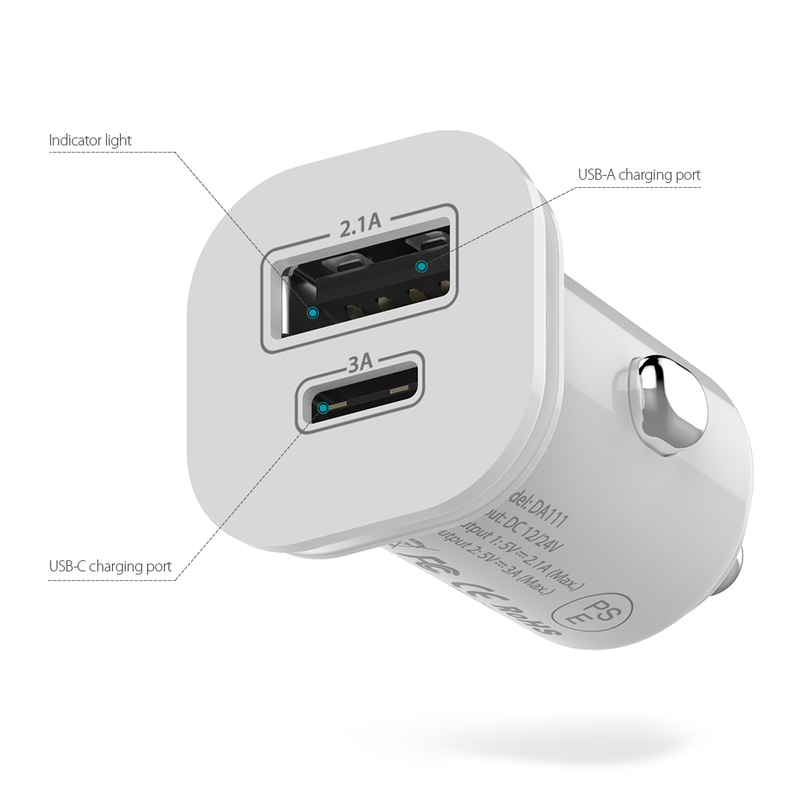 Deliver the optimal charging current for your USB-C device. 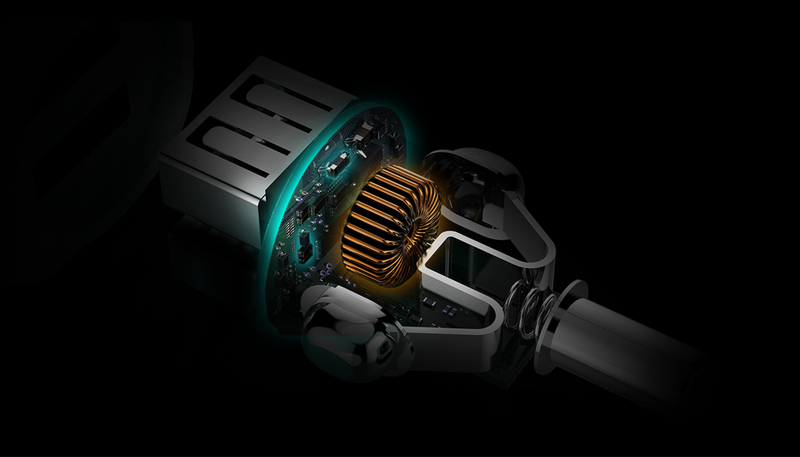 Internal advanced smart chip can detect connected devices intelligently and deliver the optimal charging current to charge your devices, which ensures safe, fast and highly efficient charging. 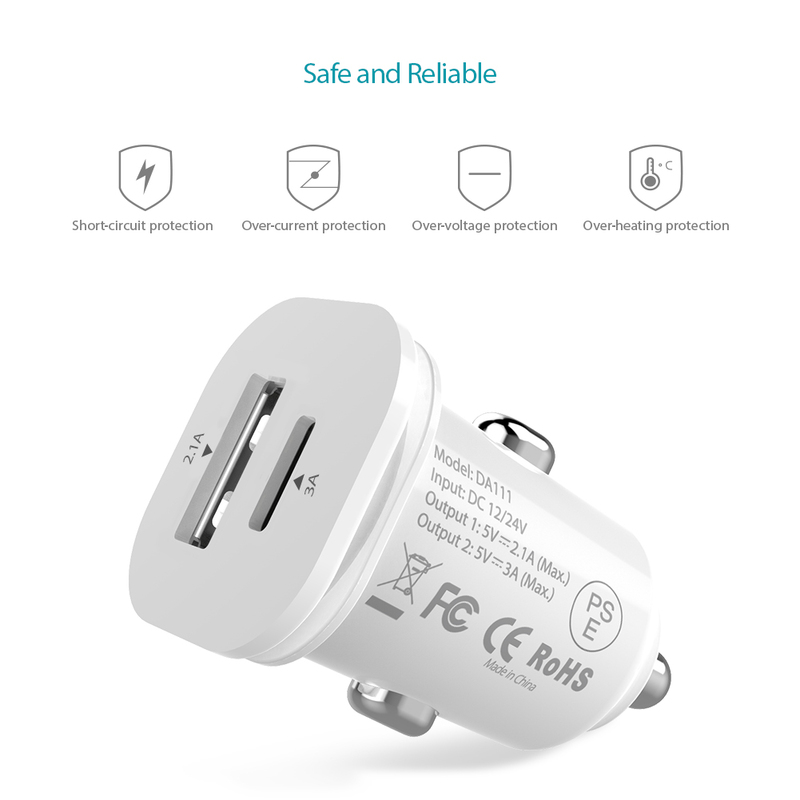 Built-in over-heating, over-current, over-voltage and short-circuit protections keep you and your device safe. 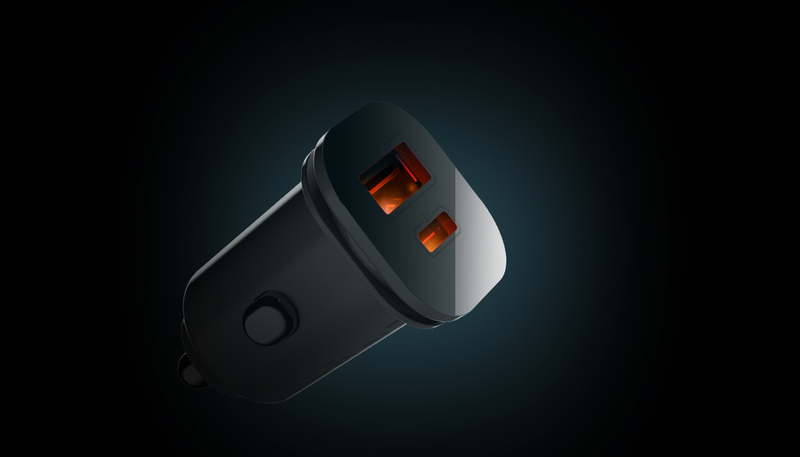 Internal red LED light indicates power connection. 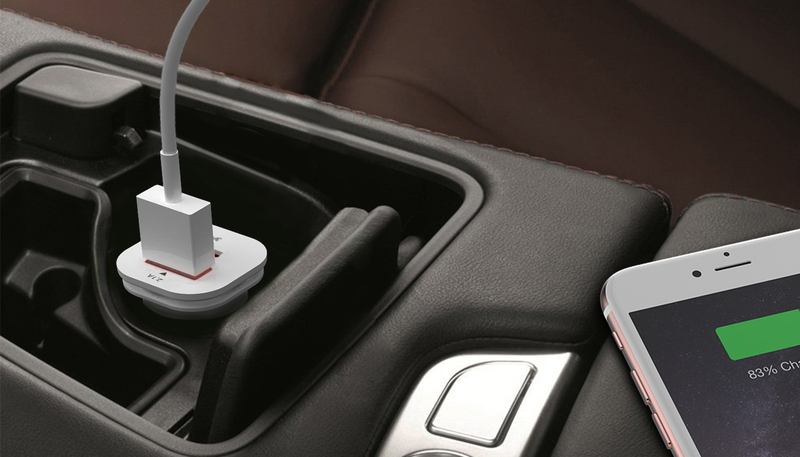 Low-profile design with high-quality PC material delivers a premium look and feel to fit with any vehicle interior. 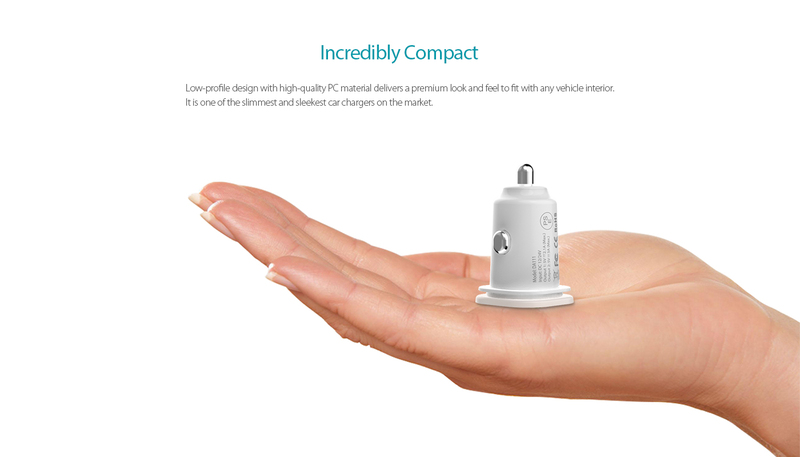 It is one of the slimmest and sleekest car chargers on the market.